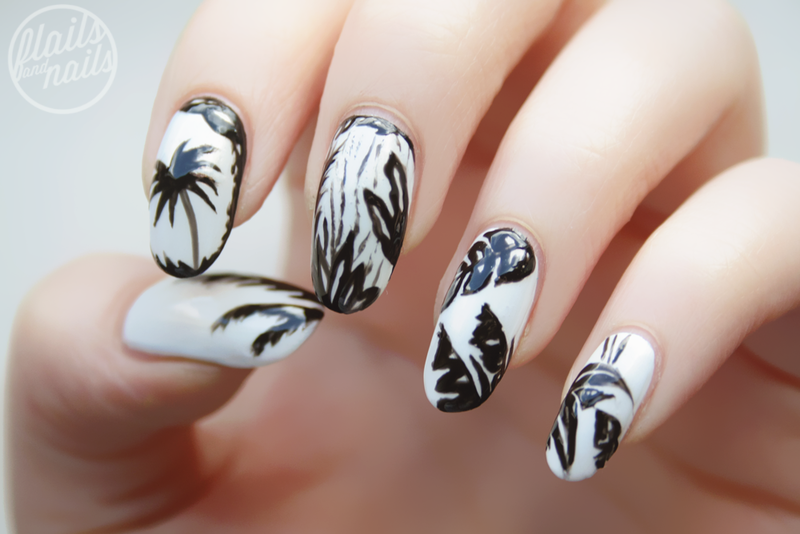 I'm sure a lot of nail artists out there see a pattern on a top or notebook and just say I NEED THAT ON MY NAILS. 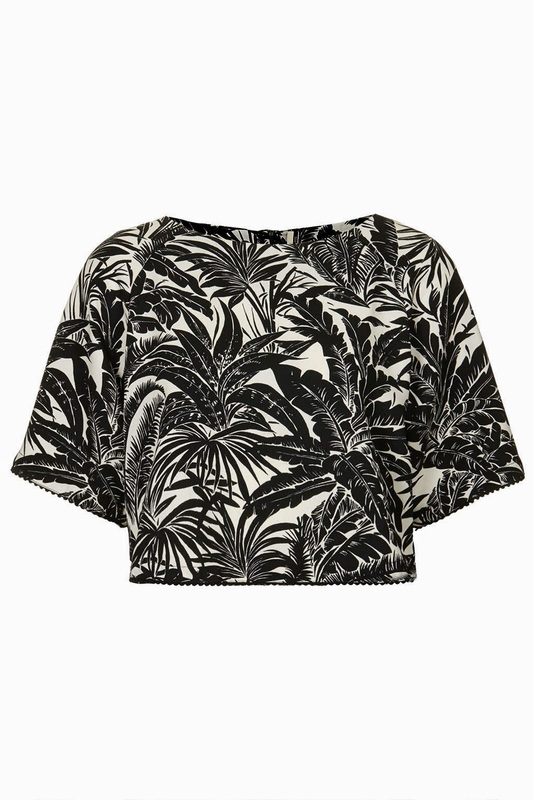 When I watched a vlog from one of my fave bloggers, essiebutton, she wore this Topshop top with this gorgeous tropical print. Of course, we are at the height of summer and tropical prints are all over the high street so what's so different about this one? It's monochrome. This just adds a whole dimension of luxury and elegance to a tropical print in my opinion, but anyway, enough with my gabbing, let's get on with it! 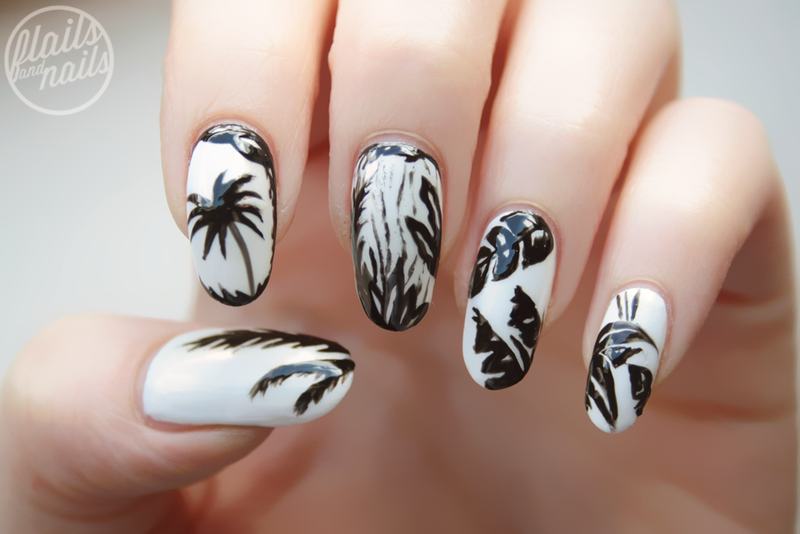 So for this manicure, I kept my base of White Light topped with MAC's new Nail Transformations top coat in Gold Pearl (which I review here) and painted on top these tropical elements I took from this gorgeous Topshop top. I like how the black becomes more of a brown with it's interaction with the gold pearl pigment beneath. Monochrome is always such a graphic, glassy look but with the liquid pigment from MAC, it helps soften the look a lot and I think this is where the Nail Transformations top coats might come into their own.